The 5th Arrondissement of Paris is one of the oldest Arrondissements of Paris. It is in Paris 5th Arrondissement where the Roman city Lutetia (IC AD) developed along its Cardo Maximus, the present Rue Saint Jacques (the oldest street in Paris). 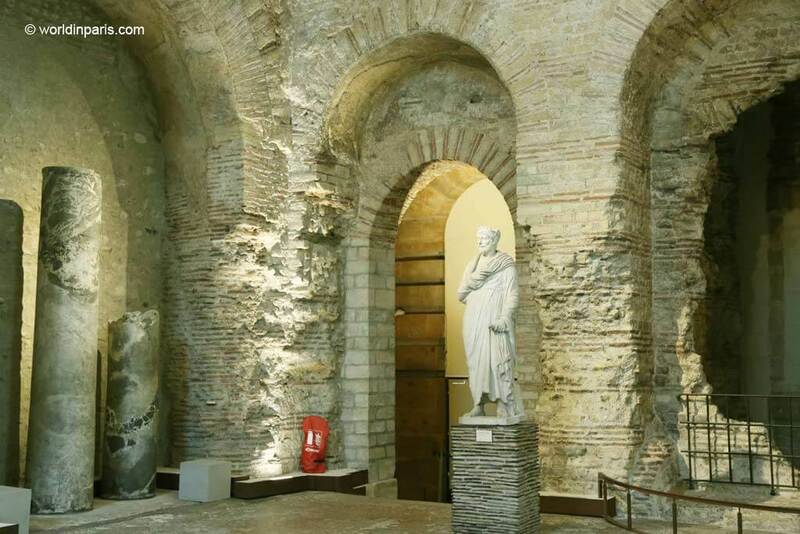 Like all the Roman cities, Lutetia had a forum (current Rue Soufflot), a couple of Roman baths (Les Thermes de Lutèce) and even an amphitheater known today as Arenes de Lutèce. 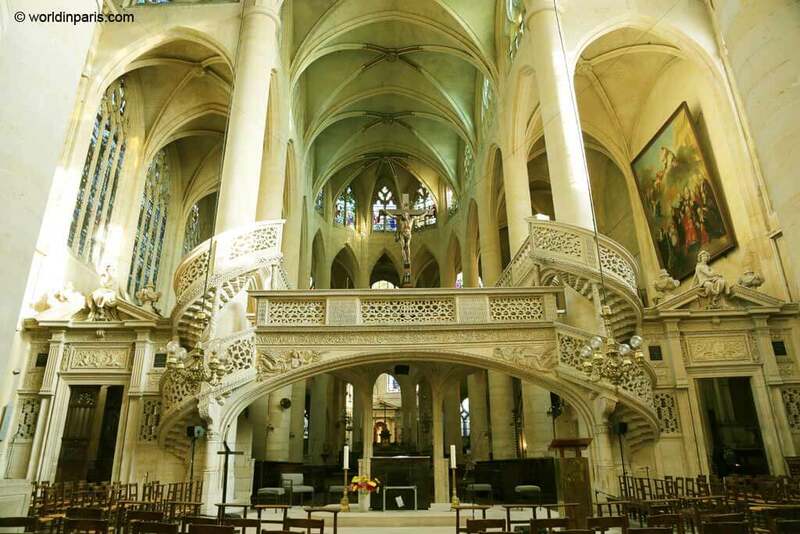 You probably know about France’s km 0, in the 1st Arrondissement of Paris, located in front of Notre Dame. 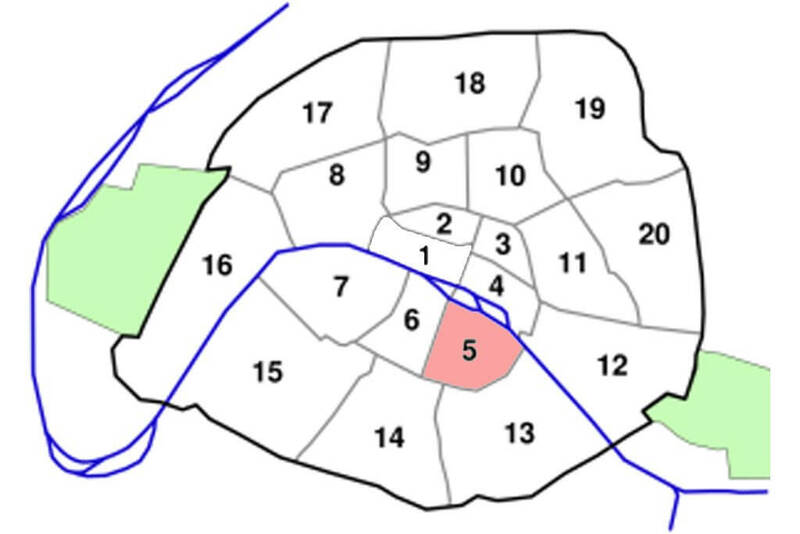 Lutetia ‘s km 0 was somewhere between 172 – 174 rue Saint Jacques. Did you know? Rue Saint Jacques, Paris is the oldest street in Paris. Its original Western alignment is the founding trace of the Roman city of Lutetia (IC AD), the Cardo Maximus. The Cardo Decumanus paths have been almost totally erased from the current topography of Paris. Apart from Lutetia ‘s Roman layout of streets and main public spaces, another thing that defined Paris 5 topography was the Bievre River. 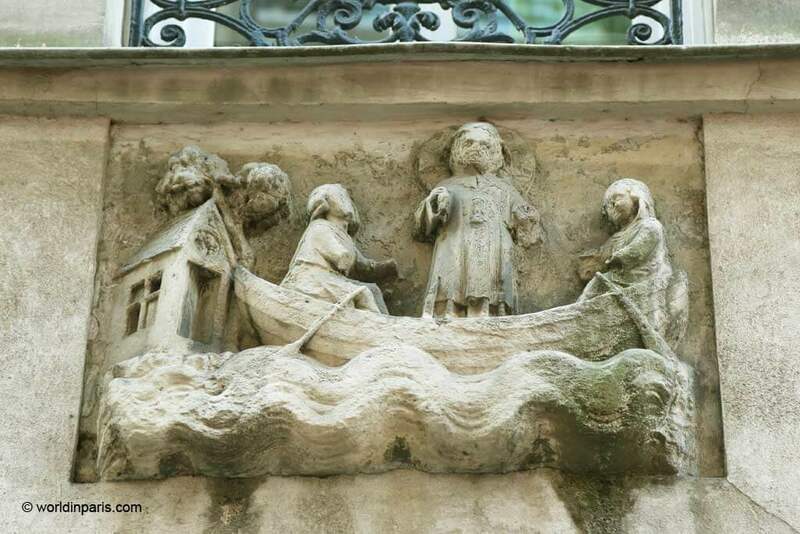 La Bievre crossed current Paris 13 and Paris 5, flowing around Saint Geneviève mountain to finally reach the Seine not far from le Petit Pont. Along the river shores many tinsmiths, shoemakers, and bleachers lived and worked so the area was very dirty and smelly. That’s why in 1860 the city started to cover the Bièvre river. The fifth arrondissement is also called the Latin Quarter. The name comes from Lutetia ‘s former inhabitants but also because later in the Middle Ages it became the center of university life and Latin was commonly spoken by students and religious people. 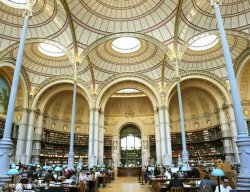 In Paris the Latin Quarter we find the first universities in the city (e.g La Sorbonne), many beautiful libraries and lots of medieval churches and convents which are worth the visit. More recently, in May 1968, the Latin Quarter was the center of the student protests, with the occupation of the universities like la Sorbonne. The most famous barricades were those of the rue Gay-Lussac. Today the 5th Arrondissement of Paris is the students and intellectuals’ neighborhood but it is also one of the most touristy Paris neighborhoods. However, there is much more than Shakespeare & Co, or Rue de la Harpe, believe us. As locals, we know how to enjoy Paris 5 far from the crowds most of the time. Check out the list of our proposals to enjoy Paris Like a Local. This time with an interesting historical background behind. 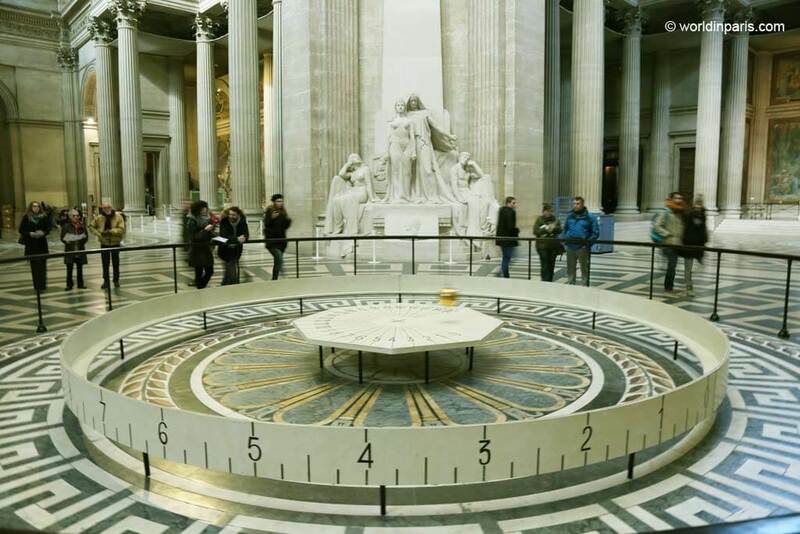 These are the top tourist attractions in Paris 5 and no article talking about the fifth arrondissement would be complete without these famous places in Paris. If this is your first trip to Paris you will like to visit some of them, they are very touristy but beautiful! Beautiful rood screen at S. Etienne du Mont Church– the sole surviving example in Paris! 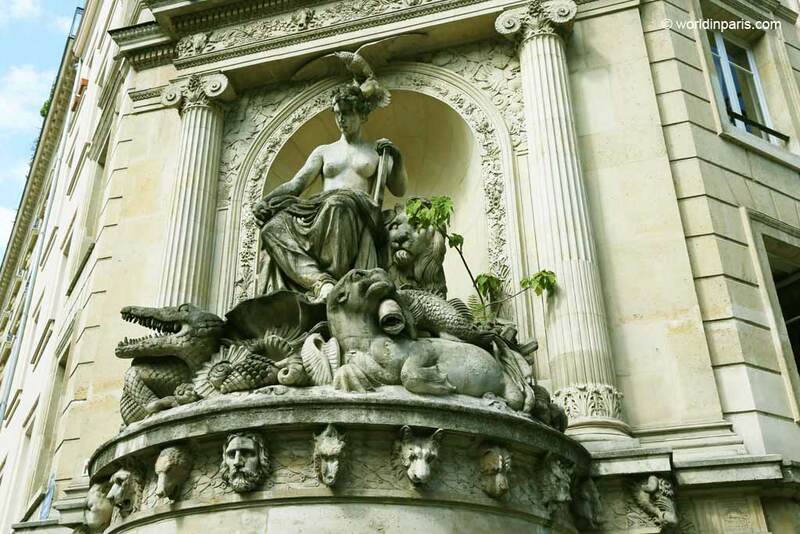 Quirky Fountain Georges Cuvier – the sculpture in honor of the “father of paleontology” is very well accompanied here! The oldest tree in Paris – at Square Vivienne, it survives (more or less) since 1602! On our Paris Arrondissement Guides, we like to encourage people to beat the crowds and explore Paris beyond its main sights. Despite being one of the most touristy Paris arrondissements we like to visit the Latin Quarter from time to time, especially when the weather is good. 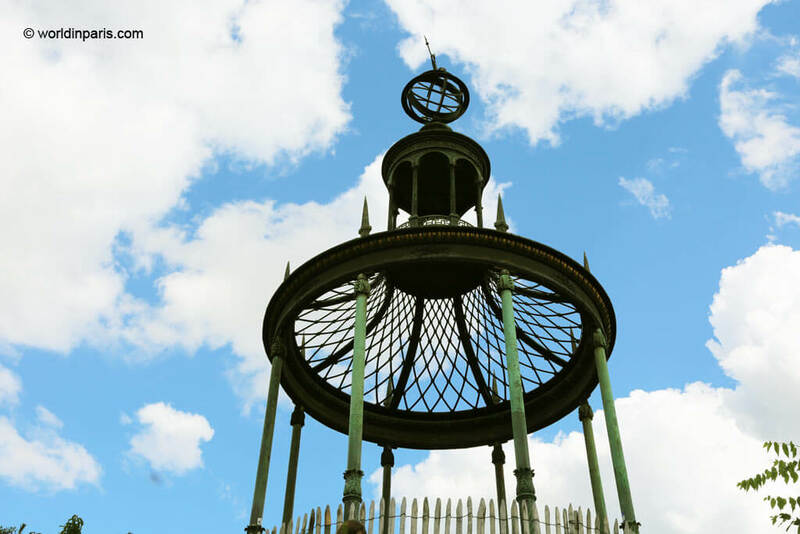 We like to see Jardin des Plantes through the seasons or a stroll around Rue Mouffetard and Place de la Contrescarpe to enjoy its lively atmosphere (touristy, YES, but also loved by locals). 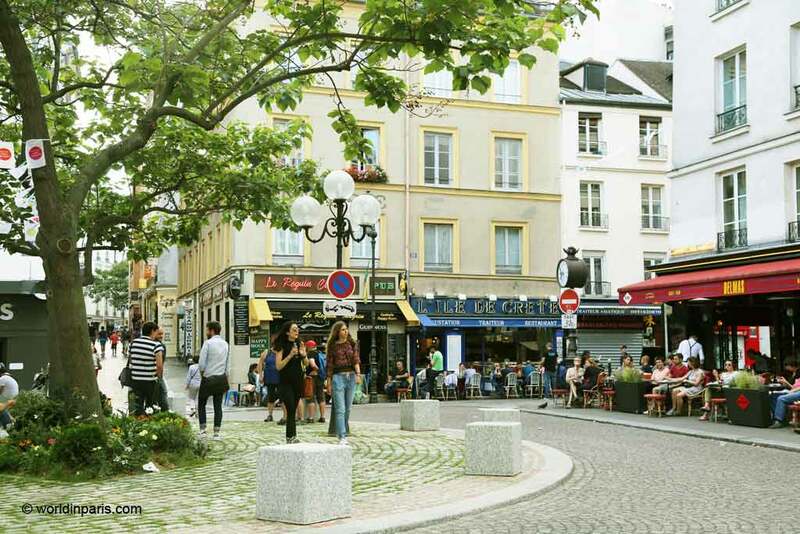 In addition, our favorite shops for hiking and traveling equipment are located between Boulevard S. Germain and rue des Ecoles so the Latin Quarter is a kind of paradise for us! 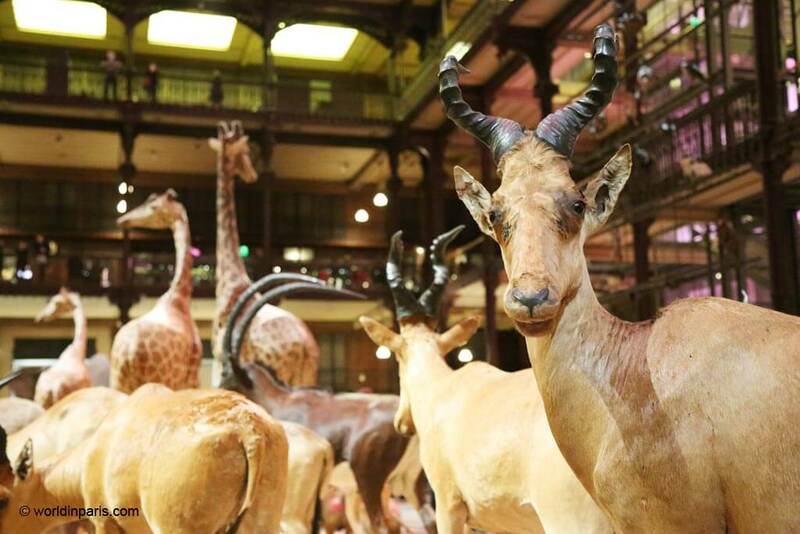 This is our personal list of unusual things to do in Paris 5 to enjoy Paris like a local. L’Epoque – 81, rue du Cardinal Lemoine 75005 Paris. L’Epoque proposes a generous bistro cuisine made with traditional recipes. Hotel La Lanterne has an excellent location (between Notre Dame and Luxembourg Gardens), attractive rooms and some great facilities like a spa, pool or a cute private garden. Perfect to finish your exploring days in a more relaxing way. This recently renovated hotel is at a 5-minute walk to Luxembourg Gardens and the Panthéon. Rooms are spacious, nicely decorated, and feature a big and comfortable bed. Hotel André Latin is a good value for your money. WANT TO EXPLORE BEYOND PARIS 5? I’m always up for traveling tips from locals and your posts always push Paris further up my list. 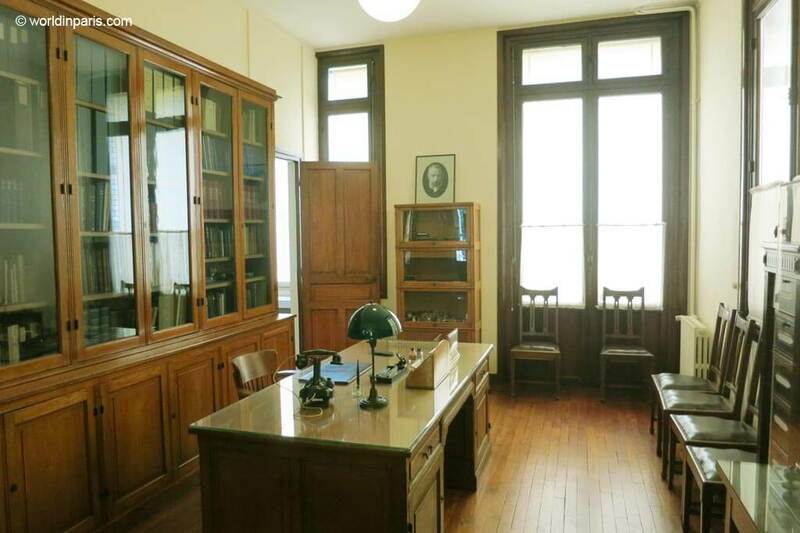 I would definitely want to see Marie Curie’s office and see the oldest street sign in Paris! Marie Curie Museum is small but very pretty. Also, it was great to know more about one of the biggest discoveries of the last centuries and about the person who made it possible . . I had no idea that the 5th Arrondissement was so packed with things to see and do! 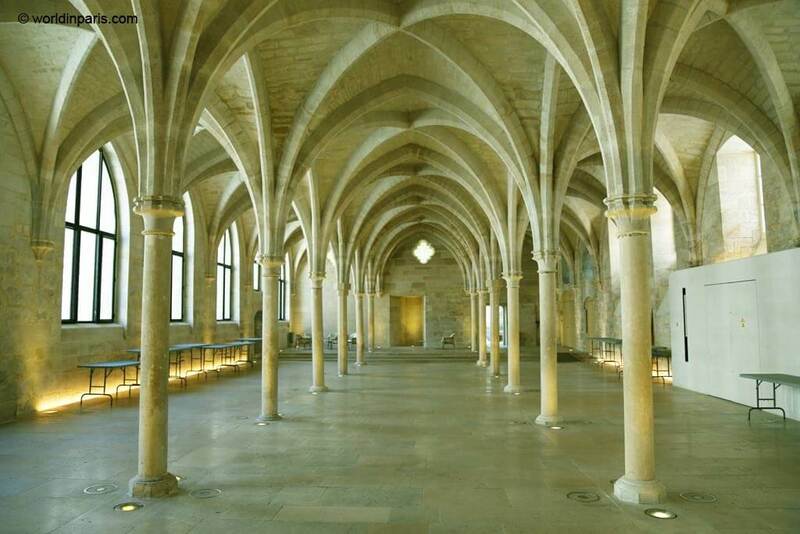 Knowing ourselves, I bet we’d love all the Medieval things, from the Grand Nef to the Cluny Museum! Wow this is like a softcopy of encyclopedia on Paris! Appreciate the efforts you have put to compile all of it in one place. Thank you Indrani! Glad that you liked it . . Thanks for the tips on how to experience Paris 5 while somewhat avoiding as much of the tourism as possible. 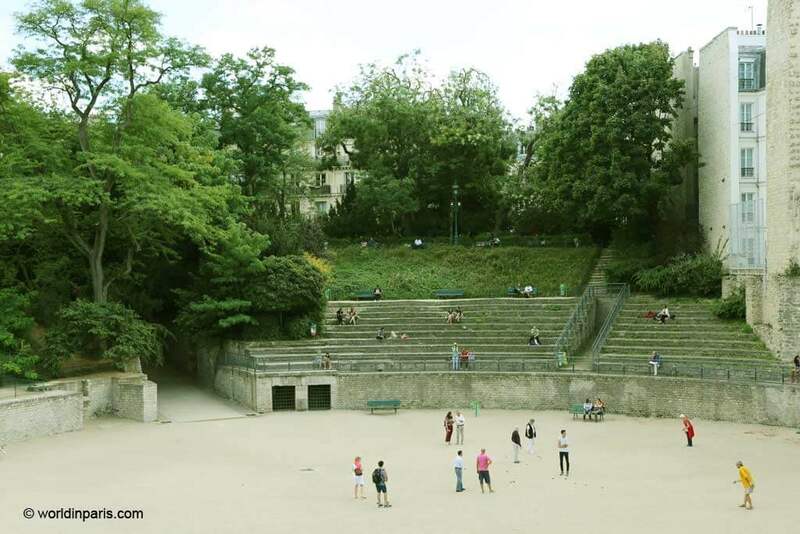 I had no idea that the 5th Arrondissement is one of the oldest Paris districts – though enjoying a book in a quiet and medieval atmosphere sounds wonderful, so I think I’ll look for Jardin Médiéval on my next trip – thanks for the tip! Thanks to you for your nice comment. 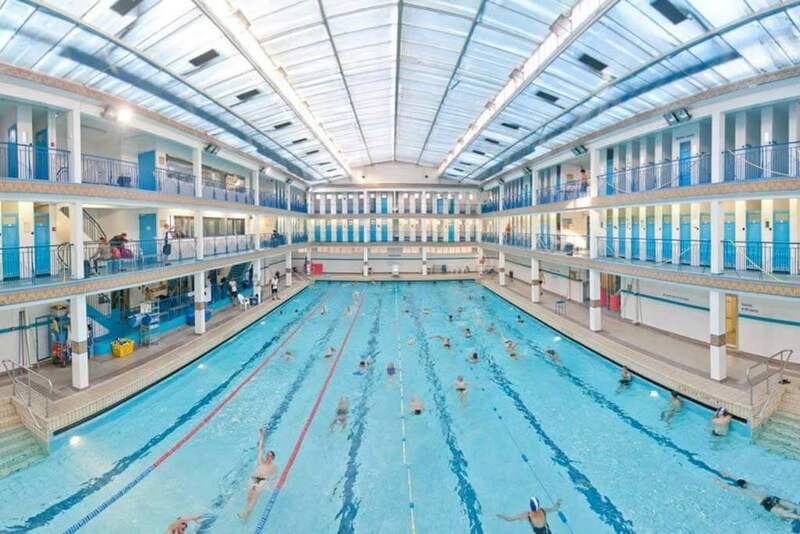 If you can swim I suggest you to add a visit to Pontoise swimming pool after the reading, it is very cool! We visited Paris back in 2012 and unfortunately, due to bad circumstances, it wasn’t one of our favourite places. However, I would love to give it another go in the future and try out some of the locations you suggested. Your blog is the Bible of Paris. Love every single post. Even a couple of months in the city are not enough to explore everything you have listed on your blog. Wow Punita thanks for your kind comment! Well, NO, two months are never enough to discover Paris: I live in Paris and still have a long list of posts to propose our readers . . And I go on exploring . . .
I’ve been to Paris a couple of times and never really got to explore the south side of the city yet. I must do that on my next trip! I was born in Paris and used to live there, so I can truly say that your recommendations are great! I love the 5ème Arrondissement, probably because of that lively feel to it. 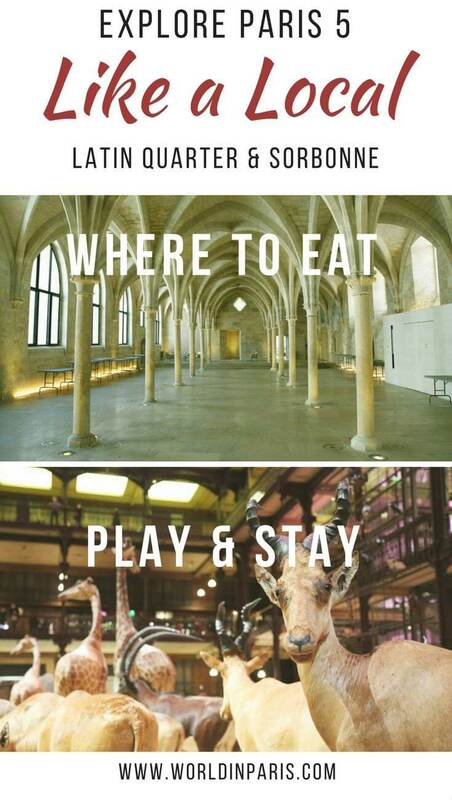 You’re right, there is so much to do there! This is a really great guide to Paris’ Latin Quarter. There is so much to see and do in Paris! I’d love to check out Rue de Mouffetard and the Pontoise pool! 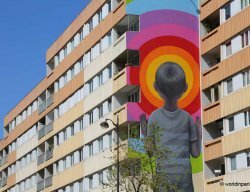 I have seen a lot of Paris guides but I love that you included the less known and quirky sites of it. This will definitely be on my list.